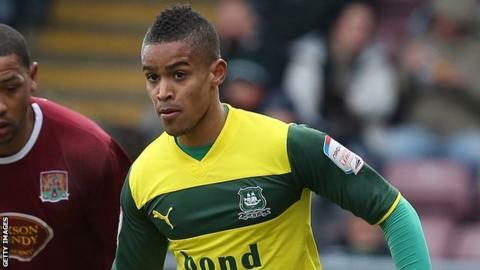 Wycombe Wanderers have signed forward Paris Cowan-Hall on a two-year deal from Plymouth. The 25-year-old, who plays out wide or through the middle, had a year remaining on his Argyle contract but has left on a free transfer. He made 45 appearances last season, scoring five goals. "Paris is a player we've been watching for a while and he impressed in both games against us last season," boss Gareth Ainsworth told the club website. "He's quick and tricky and will add another dimension to our attack. I'm sure he's a player that our fans are going to enjoy watching."